LeBron James #6 of the Miami Heat greets his teammates during anouncements during a game against the New Orleans Hornets at American Airlines Arena on December 13, 2010 in Miami, Florida. NOTE TO USER: User expressly acknowledges and agrees that, by downloading and/or using this Photograph, User is consenting to the terms and conditions of the Getty Images License Agreement. 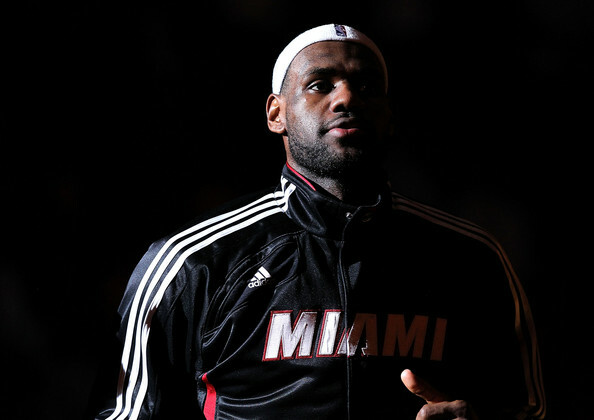 LeBron wears a 'Miami' track jacket by Adidas.